Florida is home to some awesome water parks. But, nothing has caught our attention and the attention of millions like a new ride in Waco, Texas. 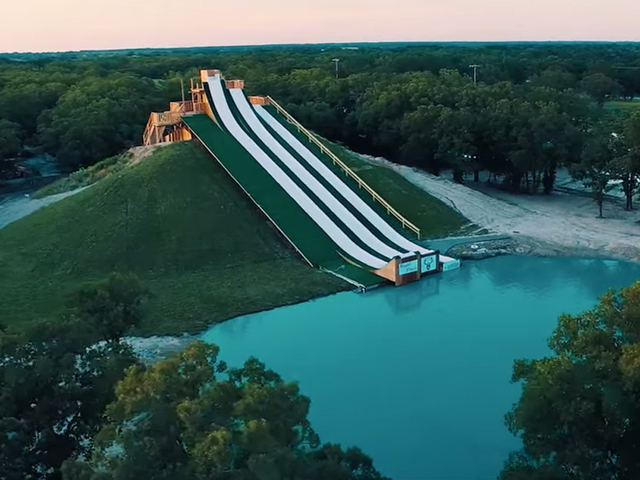 It’s called the Royal Flush and opened at BSR Cable Park earlier this year. According to BSR Cable Park’s website, Royal Flush is the tallest and longest water slide in the world. Royal Flush is 60 feet tall and has three 120 foot-long slides. A video of the slide in action was posted on June 16, it has been viewed more than 8 million times. The website states that all riders must wear a U.S. Coast Guard approved life jacket to ride the slide, but the promotional video does not show anyone wearing one. The park charges $15 for an all-day pass.